You have two microphones and two hours. How many ways can you mike a drum kit? I had a good idea of my choices, but I wanted to hear them all together so I would know what works in my room. 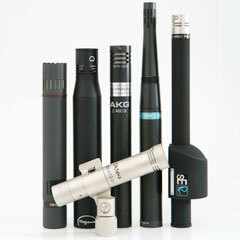 It’s no different from getting to know your own mic locker; each stereo mic placement technique is a tool, and like any tool it is only useful if you know how to use it. The audio samples below are stereo 320kbps MP3s. I recommend listening in headphones, as the differences among the tracks are easiest to hear if the sound of your own monitoring environment is well-controlled. All the following are legitimate stereo miking techniques (well, except maybe for XY-omni). 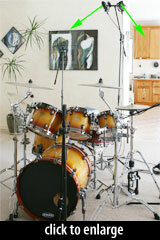 While you might find a favorite here, be aware that the appropriate technique for any session depends on the drums, the room, the player, the song, and the arrangement. As always. Nonetheless, this test reveals characteristics of each OH miking technique — such as the width of the stereo field, the intimacy of the kit, the amount of room sound in the mix, the susceptibility to phasing or comb-filtering problems — that bear consideration for every session. XY is one of the two most common stereo overhead miking techniques. 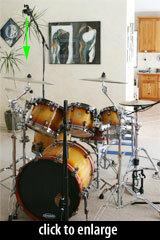 For my test, the mics were in a 90° spread, about 55'' from the center of the snare head and 80'' above the floor. I recorded samples in both Cardioid and Omnidirectional modes. Neither of these clips presents a wide stereo image. Listen to the closing tom fill — there is little discernible lateral movement. The image collapses to mono gracefully; this is expected, given that the mic capsules were close together. Listening in mono also reveals that, in stereo, both clips do present a sense of space — it’s small, but it’s there. If you don’t like hearing tom fills that go from one corner of the room to the other, or if you’re recording a song for which the drums play a background role, then XY is a reliable choice. For me, both these tracks have too much boomy low end. I don’t much like either of them. The omni clip has far too much room sound for my taste. In a space that is either deader or tuned, I think omni is a more viable choice for drum overheads; for example, listen to the omni tracks in my old drum overhead shootout, in which an omni mic brought depth and LF without excessive boom or smeary HF. Note, too, that the height of the XY pair will alter the sound of the result. I think I would have liked this pair better if I’d lowered the mics to a height of about 60 inches (instead of 80); this would have reduced the apparent volume of the room sound, and provided more stereo separation too. Reader Malcolm Paterson posted a comment suggesting a “stereo widening” technique — subtracting ~6dB worth of the inverted L signal from R, and vice-versa. Here’s the result… we’ll be playing more with this soon. The spaced pair is the other of the most common overhead drum miking techniques, although there are an infinite variety of ways to do it. Perhaps more than any other method tested, the spaced pair approach requires care to avoid phasing problems. As an example, let’s say the snare drum resonates at 400Hz. The wavelength of a 400Hz tone is about 33 inches. If one of a pair of haphazardly-placed OH mics is 16.5 inches closer to the snare than the other, then the snare sound will arrive out-of-phase at the two mics, and in mono the 400Hz tone won’t be heard. While it’s true that drums resonate at multiple frequencies, phasing problems can nonetheless cause drums to sound thin. The easiest way to avoid screwing up the snare sound with phasing problems is to put the two capsules of the spaced pair at equal distances from the center of the snare head. This has the added benefit of centering the snare in the stereo image, which is most likely where you want it anyway. To be fair, this arrangement may well introduce phasing problems with the kick or toms, which is why the OH mic position should always be tested before recording. 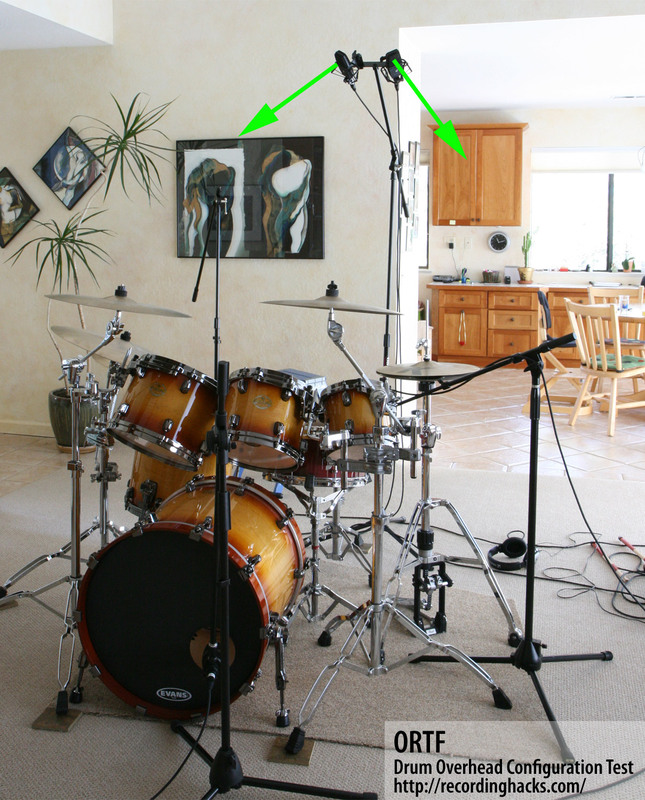 The 3:1 rule suggests that the mics should be three times farther apart than their height above the drum kit. In practice, I see engineers worrying more about the distance from the snare than the distance between the mics. Use your ears (and a tape measure too). Should the mics’ capsules be pointed straight down, angled in, angled out, or aimed directly at the snare? It’s a matter of taste. Any drums or cymbals that are on-axis — meaning, in the mics’ “line of sight” — are going to be more clearly heard and probably louder too. Adjust the OH position with an ear toward your final mix. In this test, the mics were 69'' from the floor, 52'' from the center of the snare, and 58'' apart, with the capsules pointing straight down. I recorded samples in both Cardioid and Omnidirectional modes. 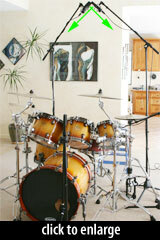 I like the sound of the Cardioid pair; the drums retain their presence without losing the sound of the room. I can hear the space, but I can hear the drums too. It’s a good balance. In Omni, the mics bring in more of the sound of the room, but not so much as in XY. This is probably a result of the fact that in XY, the mics were mostly pointing past the drums. But while this Omni track doesn’t offend me, I’d be more likely to choose Cardioid for most applications, and rely on room mics for the room sound. ORTF is a curious stereo technique with specific positioning requirements: 17cm between capsules, angled 110° apart. I fudged this slightly, owing to haste and my unfortunate reliance on the World’s Worst Stereo Mic Bar (produced by On-Stage Stands). Note that the 4400a stereo kit includes a far superior stereo bar that I wish I’d used instead. Alas. My ORTF pair was 77'' above the floor, 53'' above the snare, positioned so the snare was equidistant from the two mics’ capsules. The sound of this track grew on me over repeated listenings. The drums sound big, but not excessively boomy. The cymbals are well-represented without taking anyone’s face off. The stereo image is not as wide as on the Spaced Pair track, but ORTF sounds more realistic — see below for a head-to-head comparison of ORTF vs. Spaced Pair. I don’t hear any drastic volume changes when I monitor the ORTF track in mono; this suggests a lack of significant phase problems. I think I’d like ORTF even better if the mics were lower. The following two clips are of the same performance; the only difference is a mix-time gain change. One of the benefits of mid-side is that adjusting the relative gain of the two signals can alter the perceived width of the stereo image. The louder the “side” channel is, the wider the stereo image is. That said, the side channel is comprised entirely of off-axis sounds, which might not sound very good, depending on the instrument and room. The “narrow” mix sounds a lot like XY! The XY track contains more of the sound of the room, due to the height of the XY pair. But the stereo image is similar in size. Flipping to mono, the “narrow” track sounds almost the same as in stereo. There is not much side-channel information in this mix. The “wide” track communicates a greater sense of space, but the change is subtle. 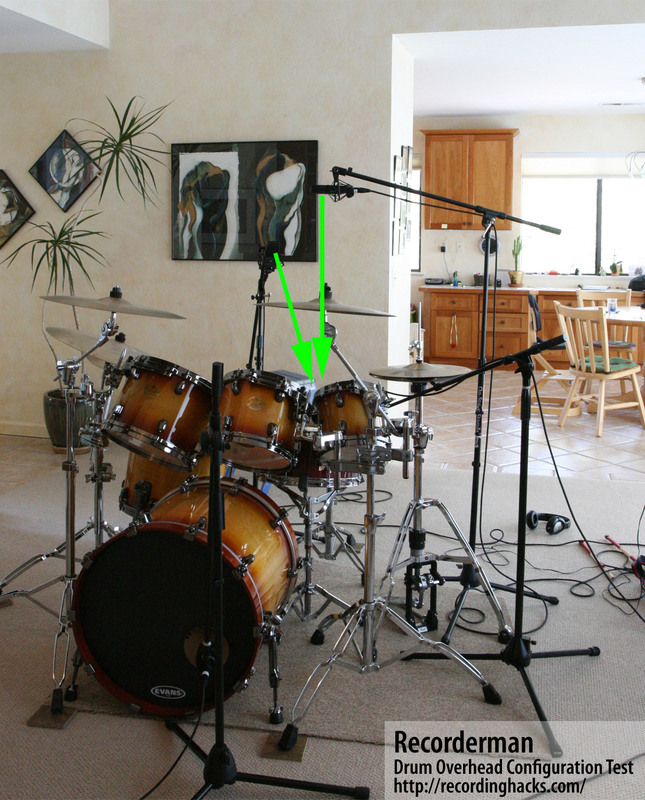 And it’s not true stereo separation to my ear; rather, the size of the space seems to grow, and the size of the kit seems to grow, but I don’t hear the high-hats or floor tom move farther to the outside of the mix. Mono compatibility is excellent for both these tracks, as expected. But I’m not fond of this sound. Part of the problem is that the “side” channel sounds like a room mic, not like an overhead; I’d rather my stereo image not come at the cost of trashing up the sound of the kit. But as with the Omni samples above, Mid-side would likely work better in a treated room. 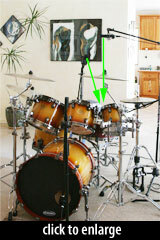 The “Recorderman” technique is a close-overhead technique that attempts to put both mics equidistant from both the snare and the kick drum. One mic stands about 32'' above the snare, pointing straight down, while the other sits over the drummer’s right shoulder, pointing at the snare. Here’s a video tutorial. I panned the two tracks hard R/L in this clip, which maximizes the width of the stereo image at the cost of leaving a hole in the middle. Listen to the closing tom fill; it sort of jumps from left to right. But of course this is easy to adjust at mix time. This sound puts me in the middle of the kit. I love the presence of this sound. The kick drum is tighter-sounding here than in any other clip. But is it too dry? The tonal difference is eye-opening. Compare the sound of the cymbal in the first two sections; the XY clip contains much more cymbal ring than does the MS clip. Then hear how the cymbals drop away in the third section (Recorderman) — a much drier, more drum-centric OH configuration. 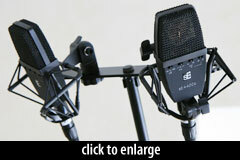 The ORTF clip sounds tonally similar to Recorderman, but has a wider stereo image. The spaced pair clip is wider still, but introduces a tonal change that I’m not fond of. The next comparison illustrates the stereo field differences between XY and spaced pair, with both mics in Cardioid mode. This clip contains a 1-bar excerpt from the XY sample, then Spaced, and then the whole thing repeats. 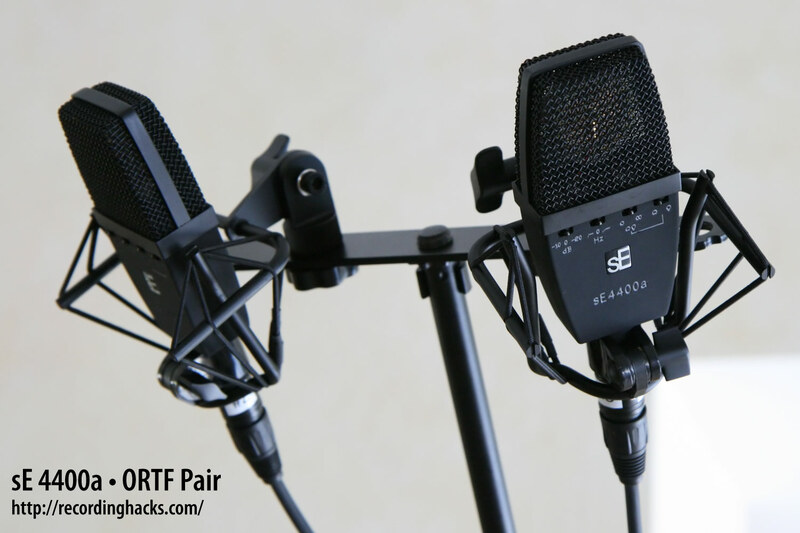 The next comparison reveals the stereo field differences between ORTF and Spaced Pair. Just to keep things confusing, this time the excerpts are 2 bars long: a 2-bar clip in ORTF, then Spaced, then ORTF again, then Spaced again. As mentioned above, the sound of ORTF grew on me. It’s not as wide as the Spaced Pair image, but it sounds more realistic. Although I liked the Spaced Pair track in isolation, when I compare it to ORTF, it seems unnatural. The “Recorderman” technique has been my go-to OH technique for years, so it is familiar, and a welcome change from what was sounding like excessively room-y overhead tracks. I really like the sound of it, and I like that the mics can be close to the kit without being in the way. But the ORTF results sounded really good, too, and promises an easier setup. 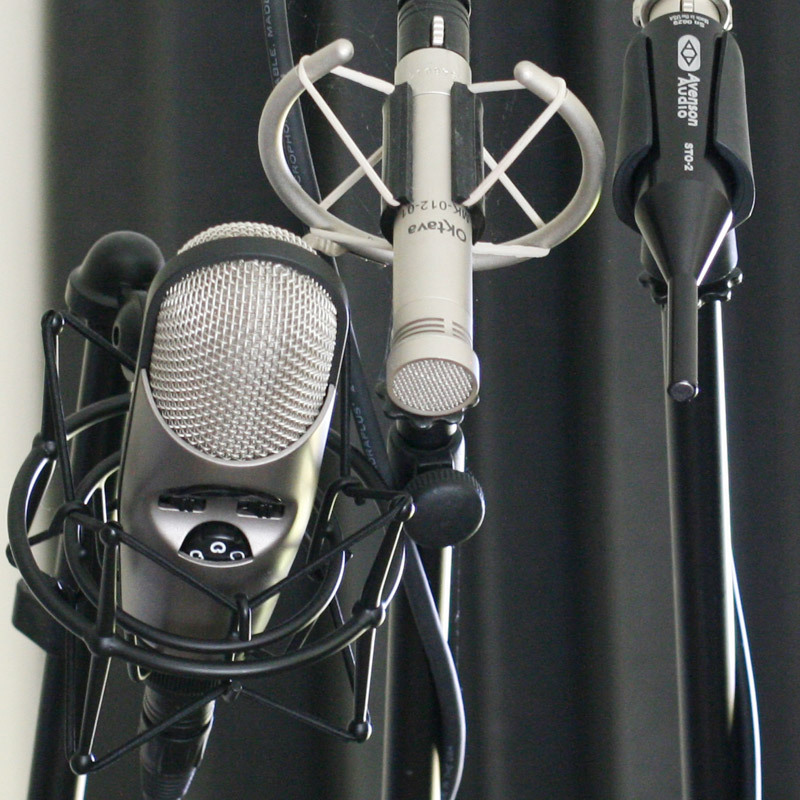 Two mics on a single stand can easily be moved around in space to quickly find a sweet spot for height and angle. I’ll definitely be trying ORTF more in the future. 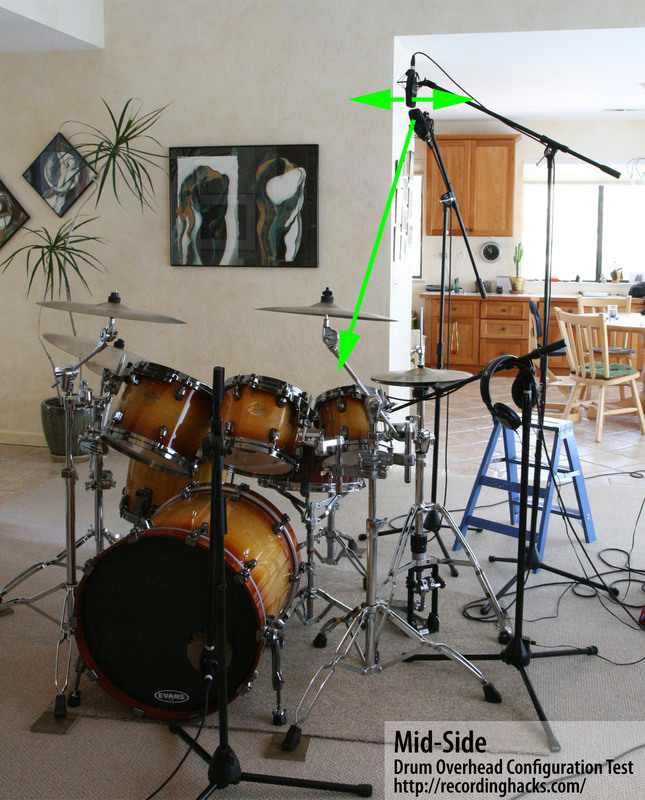 The most obvious missing drum mic technique here is the “Glyn Johns” method, about which more can be read here. 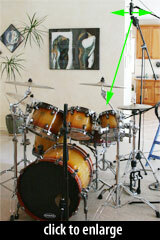 I skipped it primarily because it is not a stereo overhead technique — it’s a 4-mic approach for the whole drum kit. Certainly any of the OH techniques I tried would likely be augmented by close mics on the kick and snare, and possibly tom mics and ambient mics too. But all the techniques I tested give a usable representation of the kit. I’m not sure that would be true with one-half of the Glyn Johns approach. I also didn’t try a Jecklin disk. I’ve never seen anyone record drums that way, but it sounds like fun. Maybe next time. 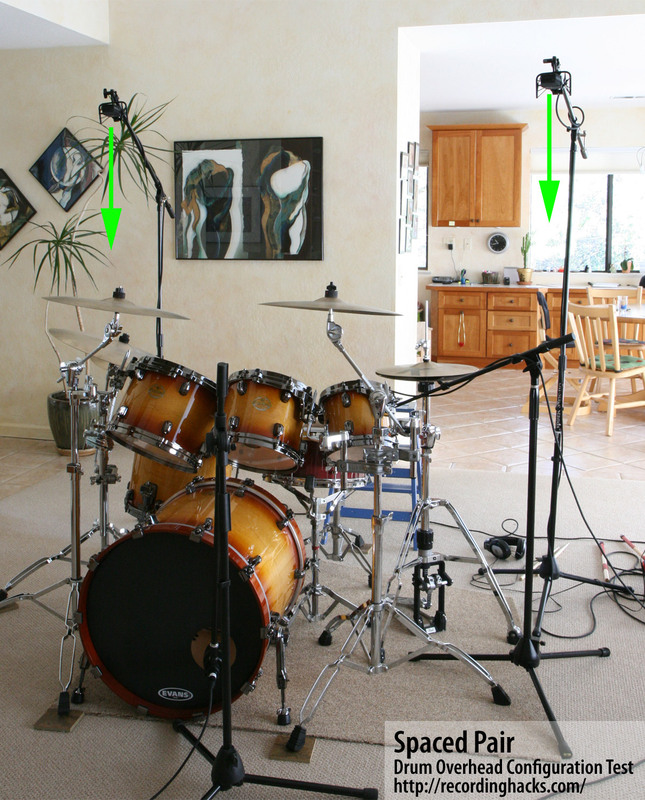 If the mic placement puts the whole drum kit off-axis, the OH sound will be primarily the sound of the room. 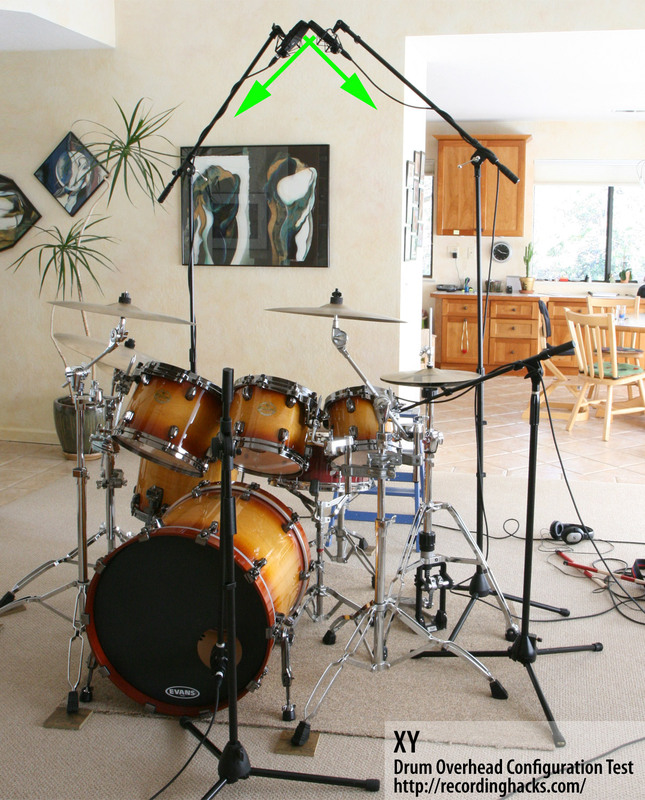 The closer the mics are to the kit, the less room sound you’ll hear (and the less preamp gain you’ll need). 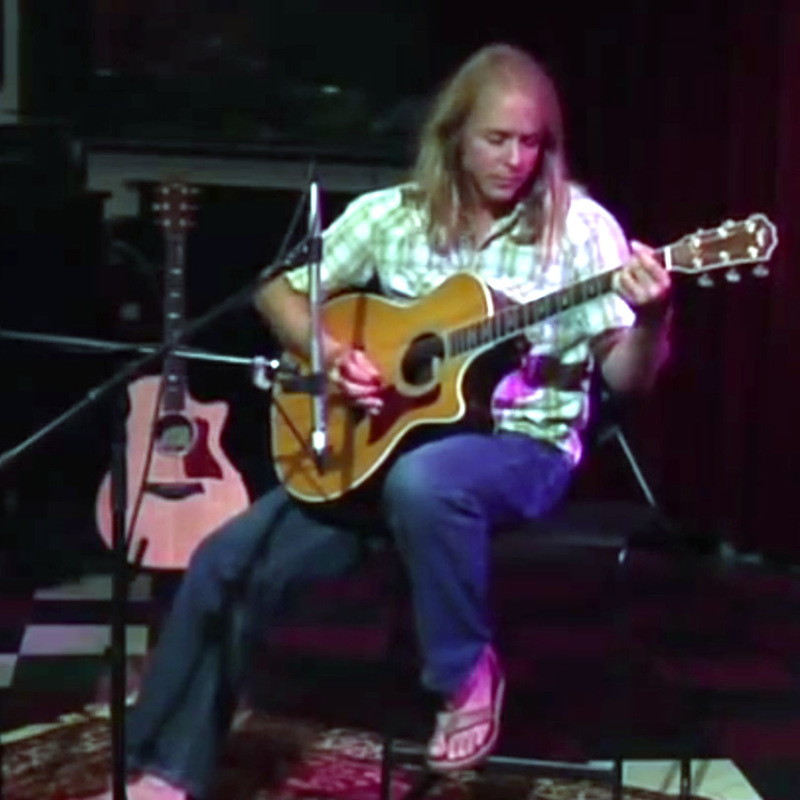 Avoid phase issues by keeping the snare and kick centered between the mics. XY and mid-side create the narrowest stereo image; ORTF and spaced pair create a wider image. Reduce cymbal volume (and room sound) via Recorderman. As always, the main takeaway is “Test and listen!” But you knew that already. I’d like to hear your lessons, too: is your go-to OH technique dependent on the room, the size of the kit, the style of music? Are there “gotchas” not already listed here? When the drummer can’t stop pounding the hell out of the cymbals, is it acceptable to simply move them out of his reach? The comments are open! I have a snare mic and bass drum mic as well as an sm57 and a perception 420 condenser mic. would there be problems if use the condenser mic and the sm57 dynamic as overheads in these techniques? @bill, I doubt you’ll love the SM57 as an overhead mic. I suspect your stereo image will sound lopsided and weird, due to the vastly different “reach” and frequency curves of these two microphones. It won’t sound like a stereo image, but rather like two mono drum kits, one playing in each ear. But hey, try it and see. Maybe it’s just right for your production. You never know. 1) I wonder that ORTF sound so diferent in comparsion with X/Y. 2) Recordermann was till now technique unknown for me but its results in this test sounds nice. So “Recorderman” and ORTF are adepts for my favourite minimalistic record setup for drums. Thank especialy for introduce me to Recorderman setup and comparsion of ORTF vs X/Y was also valuable for me. Awesome post. Immensely helpful. I really appreciate this! What an insightful presentation. Its worthy reading and seems very much helpful. Thanks, be blessed. nice to hear the examples and see how complex it can be ;-}. Personally, lately I’ve discovered MS recording only works correctly with an omni mic. With a cardioid you miss all the rear info and they won’t fold down to mono correctly which is the whole advantage of MS recording. It would be easy and very instructive to try these in ORTF, positioned behind the drummer and above his head… or as an AB spaced pair, pointing straight down, one above the HH and one above the ride… or in RecorderMan configuration. 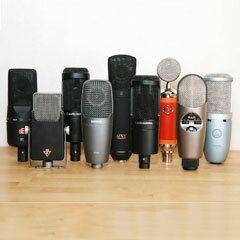 They’ll all sound different, some *very* different, depending on mic height. Good luck, and have fun! I appreciate your labour, however, I doubt the methodology. What we hear are recordings that differ in stereo width (or the size or extend of the kit in the stereo image) and in the degree of “intimacy” (closeness of the kit to the ear and the amount of roomand ambience). What you did, was to move the mics closer to the kit each time you tried out a new stereo technique. XY are furthest away from the kit, and recorderman are closest. Therefor, XY sound a bit thin, with little stereo width, and therefor, recorderman sound dry and intimate, like the ears are sitting inside the kit. For a true comparisson, the distance of the mics to the main drums of the kit, and/or their height above the floor level, should have been the same. I’ve always gravitated to ORTF due it being the most reliable for me in terms of phasing, as well as sounding the most realistic in terms of stereo field. XY always sounded too narrow for me, almost to the point of thinking, why not just use a mono overhead? ORTF is a nice, balanced, not too exaggerated, but well-defined stereo technique, in my opinion.